I’m in the running for the 2017 ING Discerning Eye Drawing Bursary and these four drawings will be on show as part of it in November. Five artists have been selected and the winner of the bursary will be announced at the opening on 16th November. I’m really thrilled to be selected for this and I’m looking forward to seeing the other artists’ drawings. I’m also looking forward to having my work seen in the flesh. Images on the internet give an impression of what my work looks like but you really need to spend time with the real things to see how they work. They are drawn with silver and with sandpaper, etching needles and scalpel blades. 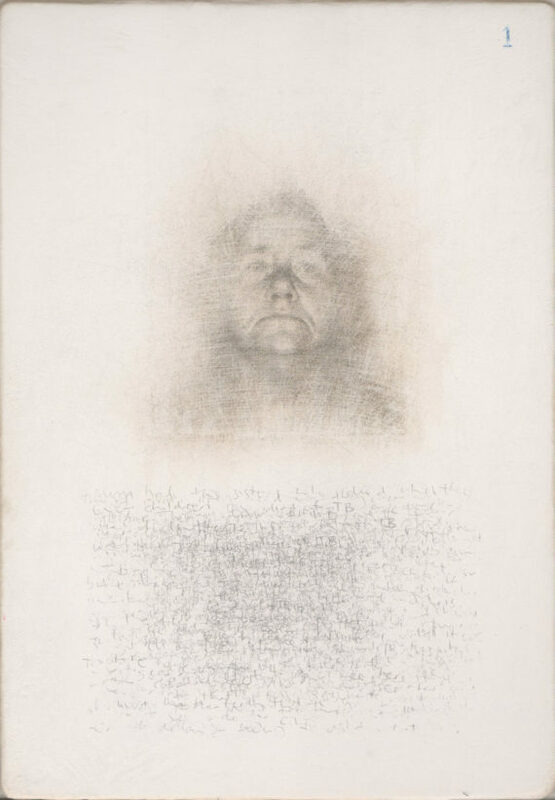 The process of their making is a slightly unpredictable process of repeated drawing and of partial erasure and re-drawing. 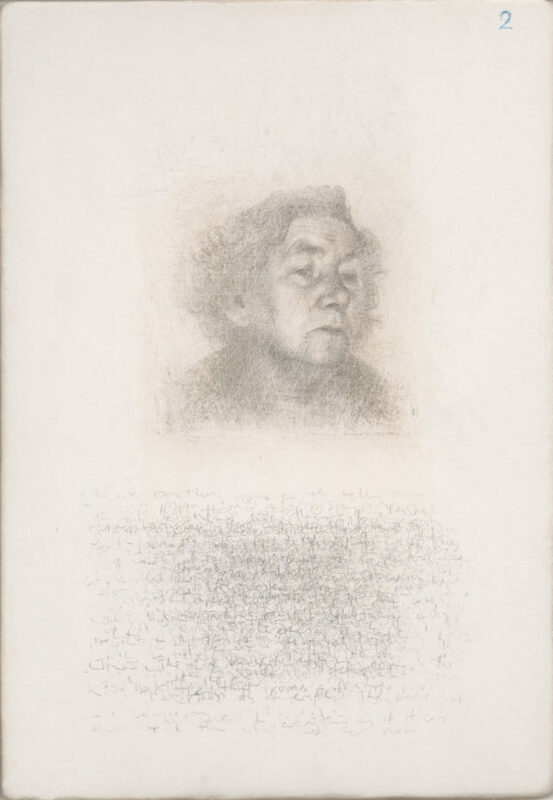 I’ll be showing four silverpoint drawings as part of the ING Discerning Eye Drawing Bursary exhibition (plus I have another silverpoint drawing in the main Discerning Eye exhibition as well). 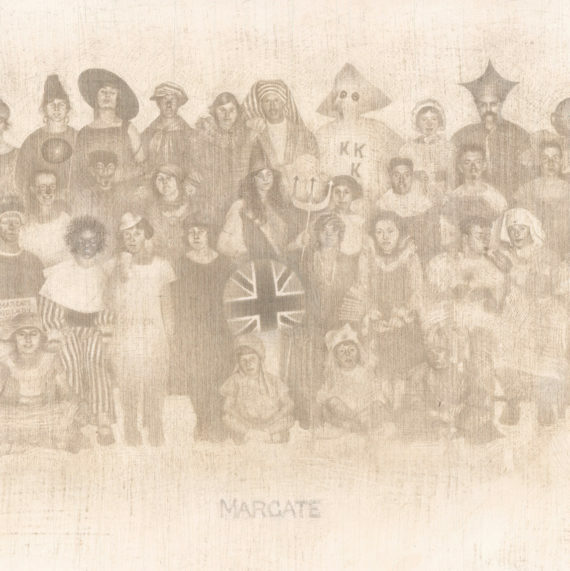 One of the four drawings (‘Margate Creatives, 2010’s’) was discussed a little in my previous blog post; the other three are all based on unused photo booth images. These drawings are based on photo booth images but they are really about moments of time and the presence of someone being still and alone for a moment. They are drawings of tiny moments in someone’s life at which no one else was present. 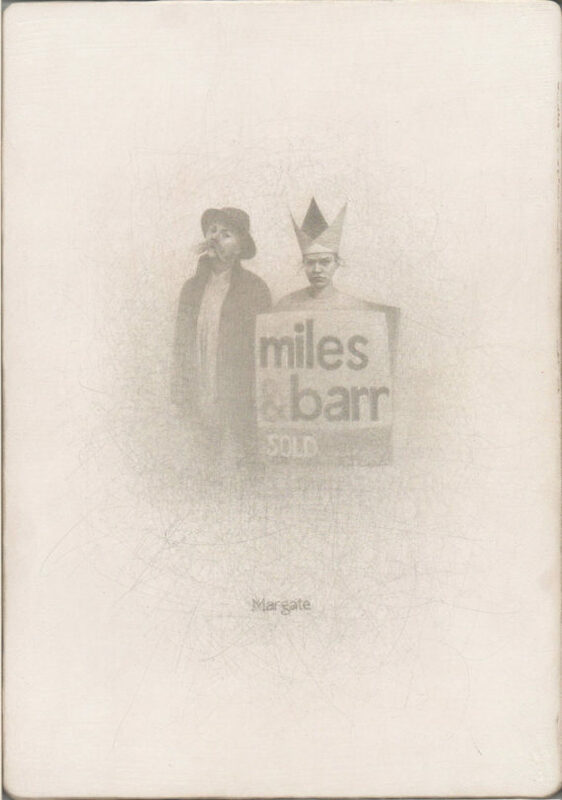 They contain blocks of hand-written text as well and an image of a person. The texts are made up of lines of remembered speech and familiar stories (they happen to be of my mum and dad) but the sentences are repeatedly re-written and sanded away and so the stories become fragmentary but with repeated phrases and words coming more clearly to the surface. The blocks of text also play with pictorial depth and flatness (they might appear as waves or as cloud-like layers of drawn or written lines). I hope people will spend time with them and look at them from various distances and angles. This work is part of a longer-term project of making art which makes connections between disparate people and moments in time with the location of Margate (which is my hometown). In common with a lot of people who try to make art, I struggle to find the time and the money to make the work I want to make and so getting the bursary money would make a big difference in my life and so fingers crossed! The 2017 ING Discerning Eye Drawing Bursary and the ING Discerning Eye Exhibition runs from 16th November until the 26th November.